The early church turned the world upside down. With only a few followers of Jesus filled with the Holy Spirit, the gospel message of love and transformation spread like wildfire; it could not be contained or held back. What was the secret-the "Jesus way"-behind such a radical movement of the gospel? And what would it take for a spiritual renewal to happen today-in your church, your community, your world, and your own heart? 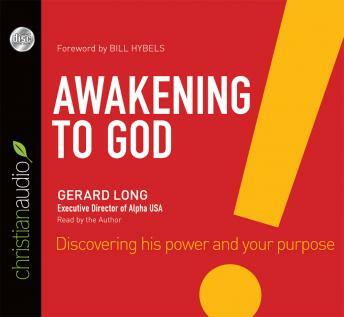 Gerard Long, president of Alpha USA, has seen that spiritual awakenings tend to occur when God's people understand their calling and prepare through prayer, personal renewal, and action. InAwakening, he offers a compelling vision for a "Jesus way" of widespread spiritual renewal, equipping you to better love people into the Kingdom of God. You'll become empowered to live the abundant life given to us in Christ-and step out in faith to fulfill God's calling.